Reading an unfinished novel might seem to be an activity that could serve only to frustrate and disappoint. Characters are not fully developed; plots are left hanging; themes supposed to unify the story, giving it shape & meaning, won't be fully worked-through; and the writing itself will likely be unpolished. Yet devotees of certain authors will regardless read these unfinished books anyway, hoping that the pleasures of what do exist will outweigh the frustrations inherent in setting out to read something you know doesn't properly end. There's an added level of sadness too when the author was relatively young and potentially could have had a much larger bibliography had they not died when they did. Reading Vladimir Nabokov's The Original of Laura, for instance, is frustrating for the lost chance for another masterpiece, but countered by the fact that Nabokov died an old man with an extensive catalogue of novels & stories. Reading David Foster Wallace's The Pale King or F Scott Fitzgerald's The Last Tycoon is made all the more disappointing for the realisation that both men were relatively young, with comparatively small bodies of work, when they died. Like Wallace's work, Fitzgerald's gives his readers a taste of what might have been, presenting as much of the story as he had completed (although obviously he would have rewritten & edited these chapters before publication) and supplementing this with some of his notes, letters & drafts indicating where the rest of the book might have gone. And also like The Pale King, The Last Tycoon reveals itself to be up to the highest standards of its author's previous work. After what I felt to be the slight dip of Tender Is The Night, The Last Tycoon (or, at least, what we have of it) stands up to the best of Fitzgerald's work - the early short stories & The Great Gatsby. In his notes, Fitzgerald identifies that novel as the closest thing, structurally speaking, to what he was aiming for with The Last Tycoon. They share the narrative trick of having the narrator not being the main character, but using the comparatively detached eye of the narrator-character to examine the life of a compelling lead. The Last Tycoon is a Hollywood novel, which is the only thing (other than its incomplete status) many people know of it - it was all I knew before starting it. Told (mainly) by the daughter, Cecelia, of a famous producer, and focusing on hotshot young producer Monroe Stahr, the novel centres around a group of movie-makers & their associated hangers-on in the late-1930s-early-1940s. Most of the story focus is on Monroe's relationship with Kathleen, but Fitzgerald also spends time with Monroe at his work. Under pressure to continue creating hits, Monroe's health is fading, with his relationship with Kathleen being a troubled highpoint in his life. 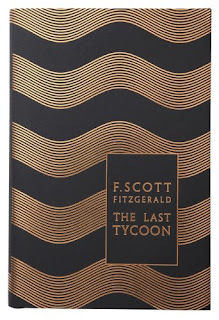 The 'completed' section of The Last Tycoon lasts only 150 pages, with another 30-ish of Fitzgerald's notes. The story itself never really comes together, as one would expect, but what is here is very good - there are some wonderful scenes at the studios, and the origins of Monroe & Kathleen's romance is as good as anything Fitzgerald ever wrote. It's hard to get a true picture from his notes of how the rest of the novel would have gone, but the general themes and ideas are all present to at least some extent. Unfortunately its unfinished status will ensure The Last Tycoon will never have a terribly wide audience. For that reason, it's really only recommended to committed fans of Fitzgerald who are happy to read what he was able to write before his untimely death. But for those who do bother, The Last Tycoon does offer the prospect of some of his finest writing and the possiblity that, had he lived to finish it, The Great Gatsby's place as his masterpiece might not have been quite so clear-cut. This review strikes me as really sad! Good sad, but...maybe you could review a happy book next?